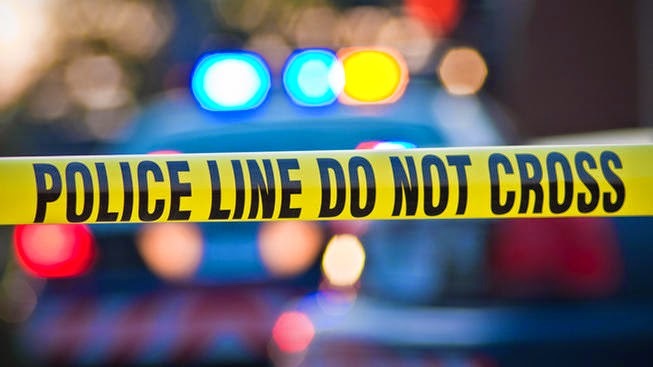 EGG HARBOR CITY – A man has been charged with murder and arson in connection with the killing two days ago in their Egg Harbor City home of the mother and child with whom he cohabited, Atlantic County Prosecutor Jim McClain announced today. Joseph F. Palmer 3rd, 38, of 214 Washington Avenue, Egg Harbor City, was charged today with the Wednesday, November 12th murders of a woman who remains officially unidentified pending definitive forensic analysis—but is believed to be Michelle Pabst, 38—and of her son, Gavin Pabst, age 7, both of the same address. Palmer was charged also with aggravated arson, for setting fire to the residence with the purpose of destroying it. At 8:11 a.m. on Wednesday, November 12, 2014, Egg Harbor City Police and firefighters from the Egg Harbor City Volunteer Fire Department and the South Egg Harbor Volunteer Fire Company responded to a 9-1-1 report of a fire at 214 Washington Avenue, Egg Harbor City. Joseph F. Palmer 3rd was found outside the residence. Palmer was treated for injuries and transported by AtlantiCare ambulance personnel and paramedics to the AtlantiCare Regional Medical Center—City Division. The fire was extinguished, and the bodies of the victims were discovered inside the home by emergency responders. Detectives of the Atlantic County Prosecutor’s Office Major Crimes Unit arrested Palmer at 12:30 p.m. today, Friday, November 14, 2014, at the AtlantiCare Regional Medical Center—City Campus, as he was discharged from the hospital. An autopsy performed yesterday by Dr. Ian Hood, of the New Jersey State Medical Examiner’s Office determined both deaths to be homicides, the cause of the mother’s death multiple sharp and blunt force injuries, and the cause of the child’s death multiple stab wounds. An ongoing around-the-clock investigation by the Atlantic County Prosecutor’s Office and Egg Harbor City Police Department, with assistance from the Mullica, Hamilton Township, and Atlantic City Police Departments, the Atlantic County Office of the Fire Marshal, and New Jersey State Arson K-9 Fire Investigation Unit, resulted in Palmer’s arrest this afternoon. Atlantic County Superior Court Judge Mark H. Sandson set bail at $2,000,000 full cash. Palmer was lodged in the Atlantic County Justice Facility in lieu of bail.